The clash between neighbors, Sunrisers Hyderabad takes on royal Challengers Bangalore. Both the teams looking forward to win this game. Sunrisers yet to open the winning account but Bangalore open their account by beating defending champions Kolkata knight Riders and end their winning streak. Here’s the match preview and live scores, live streaming of the match. Royal Challengers Bangalore have a great opening game against the Kolkata Knight Riders. The team with power hitters like Chris Gayle, AB Devilliers and skipper Virat kohli definitely a hard question for any bowling line-up. The Gayle storm saves in the previous match. Chris Gayle scores 95 to help Bangalore cross the wining line. They don’t go easy on bowlers. AB Devillers is always a nightmare for bowlers, lets see tonight what they’ve got for bowlers. Sunrisers Hyderabad lost their first match against the Chennai Super Kings. Hyderabad bowling line-up probably one of the best in IPL but they let Super Kings to score 209 runs 20 overs. Dale Steyn’s absense Kane willamson’s new batting position makes the Sunrisers hard to compete on the big run chase. The skipper David Warner scores some runs but its not action pack performance for him. In fact no one really deliver their best with bat for Sunrisers. Live coverage : Sony Six (English), Sony Kix (Tamil), HotStar Application. Bangalore’s bowling attack was not threatening one so far. If Mitchell Starc returns to the team then it may a different story. They mad up the weakness of bowling by strong batting order. Chris Gayle always a key at the top for Bangalore. Skipper Virat Kohli not in the great form hope he regain his form soon. AB Devillers can be very dangerous at any point of the game. Sunrisers Hyderabad having a strong bowling line-up but they missed out in the first match. David Warner and Shikar Dhawan opening pair need to provide a great start for Hyderabad. Dale Steyn inclusion may give the great support in the bowling. Batting line-up need to deliver the best to get better result. This Monday night will be a great show for cricket fans. The clash between the neighbors is worth to watch. 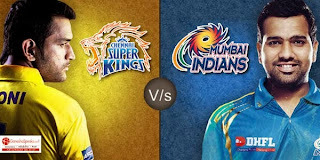 We bring you the all match previews and live score and live streaming of all ipl actions.